The Army has disbanded its electronic warfare division, though this is not the end for its staff or electromagnetic spectrum capabilities. Instead, the Army will incorporate the EW division into a newly established cyber directorate at the Pentagon within the Army G-3/5/7, according to officials at Army headquarters. 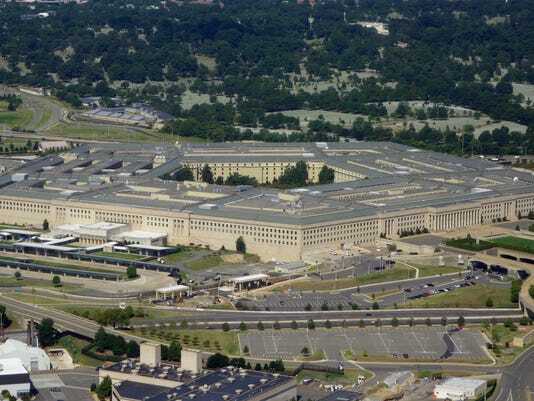 The new directorate is moving quickly, reaching initial operating capability in June, and sources say they expect full operational capability in August. Headed by Brig. Gen. Patricia Frost, who's up for promotion to major general, the new directorate will encompass cyber, electronic warfare and information operations. But Army officials emphasize that they aren’t getting rid of electronic warfare in the move to combine under the directorate. Rather, among the directorate’s chief missions will be handling the policy, strategy and requirements for all three areas. According to a Defense Department source the directorate eventually will comprise five divisions under Frost. Frost was named to the elevated position in March, according to announcement from the Defense Department. The American government is taking credit for the recent decline in ISIL (Islamic State in Iraq and the Levant) activity in social media. On Twitter, for example, messages supporting or mentioning ISIL are about half as numerous now as they were two years ago. There is a lot more anti-ISIL commentary and traffic among Arab speaking Internet users. While some of this decline in pro-ISIL activity is due to public opinion turning against ISIL because of their continued attacks on Moslem women and children and any Moslem who does not agree with them there were other trends developing as well. For example Western governments have learned (often by trial and error) how to use the law, popular attitudes among Moslems towards Islamic terrorism and some commonly used Internet marketing and publicity techniques against Islamic terror groups. All these efforts have been underway for years and have reported much progress since 2015. A lot the basic work was done by U.S. SOCOM (Special Operations Command) which pioneered the use on commercial technology to gain an edge as Islamic terrorists have moved a lot of the combat to the Internet. There Islamic terrorists did a lot of their recruiting, fund raising, training and carrying out attacks or discussing tactics in general. SOCOM used commercial Internet marketing software systems to better (and more quickly) analyze what Islamic terrorists were doing on the Internet. This is nothing new for SOCOM, which has been informally using social networking sites and Internet activity in general to find, monitor and sometimes manipulate terrorist suspects. This has been going on since the late 1990s but as time went on SOCOM found that formal and analytic techniques produced better results. Much of what we have seen in the strengthened China-Pakistan alignment in the last decade is a reaction to the rise of India. Andrew Small, a former journalist who is now a fellow at the German Marshall Fund in the United States, has written a detailed and well researched book on a relationship that has received very little attention outside India, but is of increasing significance not just to India but to the region. This is the best account of what is probably the most special and purely strategic relationship in the world. Indeed, this is a book I would recommend to anyone interested in India’s foreign policy and future. The book is full of interesting detail on a relationship that both protagonists have done their best to obfuscate, and that is of extreme sensitivity to Pakistan. The great issues are familiar to an Indian: China’s assistance to Pakistan’s nuclear weapon programme and its delivery systems; China’s intricate dealings with Afghanistan and the Taliban over the last 38 years, which are now increasingly independent of Pakistani mediation and preferences; China and Pakistan’s use of jehad; and, the interplay with other powers like India, Russia and the USA. Understanding the Violence in Valley! Insurgencies are like amoeba, constantly changing shape and size. What began as a territorial dispute between India and Pakistan in 1947 has, over time, undergone several metamorphoses. Initially it had socio-economic roots but later became part of a wider Islamic uprising masked by calls for ‘Azadi”. At present it is driven purely by a sense of outrage over impotence and revenge for security forces’ action against the militants. 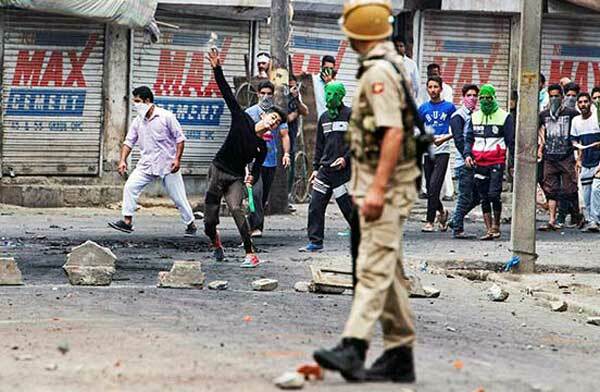 …ever since the failure of an armed uprising, the domestic elements as well as Pakistan seem to have embarked upon a strategy of making Kashmir valley ungovernable. Most analysts agree that the ‘insurgency’ in Kashmir began in 1988/89. But such is the close nexus between the proxy war by Pakistan and domestic unrest in Kashmir, that the two are virtually inseparable. The initial impetus was definitely provided by the happenings in Europe (fall of the Berlin Wall, disintegration of the USSR), but a long-term reason was the long cultivated myth of the ‘unique’ Kashmiri identity. This was due to the defensive reaction of the secular Indian State and its cynical exploitation by the West and Pakistan. During the Cold War period, Kashmir could be used as a pressure point against a pro-Soviet Union India. The Afghan war against the Soviet occupation began winding down in the late 1980s. This was perceived as a victory for Islamist forces and the fighters freed from this war were directed towards Kashmir. Towards the early 1990s, Pakistan sought and got American support for its Kashmir venture as a sort of reward for its role in ousting the Soviet Union from Afghanistan. Insurgency in Kashmir was a virtual certainty in 1988/89. Will BrahMos Propel India’s Defence Export Drive? In fact, way back in 1979, Vietnam had fought a bloody border war with China. And now Vietnam has mounted a serious challenge to the Chinese claim over the resources of the disputed South China Sea region. As it is, the prospect of the BrahMos sale to Vietnam had figured prominently in the bilateral talks between the Indian Defence Minister Manohar Parrikar and his Vietnamese counterpart Gen Ngo Xuan Lich in early June 2016. 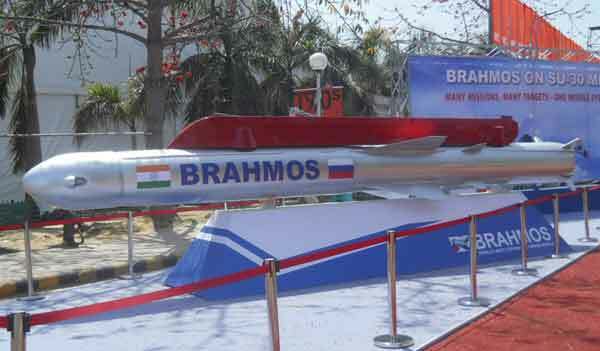 If India’s plan to sell BrahMos to Vietnam assumes a practical shape, it would certainly mark a quantum shift in the strategy of India—currently the largest arms importer—in terms of boosting defence export with an eye on bolstering the defensive and offensive capabilities of its ally while at the same time boosting the domestic revenue. The terrorist leader Umar Khalifa was killed July 9 along with four other enemy combatants in a US Forces-Afghanistan airstrike targeting Islamic State-Khorasan Province members in Afghanistan’s Nangarhar province, Pentagon Press Secretary Peter Cook said in a statement issued Wednesday. Khalifa was a terrorist leader with the Tariq Gidar Group, Cook said. Khalifa orchestrated multiple terrorist operations in Pakistan to include the January 2016 attack on Bacha Khan University, the September 2015 Badaber Air Force Base attack, and the December 2014 Peshawar school attack that resulted in the deaths of more than 130 children, Cook added. While this strike was taken pursuant to US rules of engagement and counter-terrorism interests, the specific relevance it has to Pakistan’s and Afghanistan’s security underscores the common security interests shared by the United States, Afghanistan, and Pakistan on matters of terrorism, Cook continued. An international tribunal sent a pointed message to China on Tuesday — just because you say something is yours doesn't mean it is. This week's binding decision from the Permanent Court of Arbitration at The Hague, Netherlands, dealt a serious blow to China's claim to most of the South China Sea, a 1.4 million-square-mile body of water that contains the world's busiest shipping lanes. The ruling was rejected immediately by the Chinese Foreign Ministry — as expected — but it has left Beijing in an exceedingly difficult position where it has to balance an angry, nationalistic population against an international community that expects it to back down. Philippines navy personnel motion toward a Chinese Coast Guard vessel to make way as they block it from entering Second Thomas Shoal in the South China Sea. "What's at stake here is the question of China's image and China's future — what kind of nation, what kind of country will China be? And how will it be regarded by its neighbors as well as by its people?" Assistant Secretary of State for East Asian and Pacific Affairs Daniel Russel told CNBC. A fear of losing territory, which dates to China's bitter and bloody war with Japan in the 20th century, permeates both the leadership in Beijing and the general population in China. In the eyes of the Chinese, a majority of the South China Sea belongs to them — backed by what Beijing claims are historical documents that support its sovereignty there. The Hague ruling specifically invalidated those historical claims. So now, the world is watching closely at what President Xi Jinping's course of action will be. The South China Sea arbitration award is not just a victory for the Philippines over China; it is a victory for evidence over sentiment. I have spent the past five years digging through the competing versions of the region’s history. In the process, I have learned that China’s claims in the South China Sea were always more emotional than historical. They emerged from the sense of national violation during the nineteenth and early twentieth centuries, and mixed misunderstandings about history with poor translations of foreign maps and an unbending sense of self-righteousness. The problem for the region is that, despite the arbitration ruling, those misunderstandings and emotions will not easily go away. Far from it: Chinese schools are continuing to inculcate young minds with the same muddled views of the past, and the national media is reinforcing the message for adults. To those Chinese who care about the issue, the arbitration will appear as yet another episode in the story of national humiliation. If we could trust the Chinese leadership to allow the free flow of information and an open debate about history, we could hope for a new understanding to emerge. For the time being, that is about as likely as China dismantling its giant artificial islands. On July 12, the tribunal hearing the case issued its ruling that can only be described as a huge win for the Philippines. Digesting all 507 pages of the award will take time, allowing only for preliminary judgments to be made. Below, I discuss several strategic implications. In assessing the Philippine submissions, the tribunal greatly reduced the scope of maritime entitlements that states can claim in the South China Sea. First, the tribunal concluded that China lawfully, under the UN Convention on the Law of the Sea, claims historic rights to resources within the nine-dash line that appears on Chinese maps. Although China has not clarified the nine-dashed line or even explained officially what it means, the tribunal indicated that one potential explanation, as a claim to historic rights, was inconsistent with the convention. The tribunal reasoned that whatever historic rights or high-seas freedoms China enjoyed were “extinguished” when it acceded to the convention. Second, the tribunal interpreted Article 121 of the convention, which outlines the “regime of islands.” In particular, the tribunal offered a four-part test for determining what constitutes an “island” and not a rock. This matters greatly because under the convention islands are entitled to a two-hundred-nautical-mile Exclusive Economic Zone, while a mere rock is entitled only to a twelve-nautical-mile territorial sea. The tribunal ruled that none of the naturally formed land features satisfied its four-part test and that no “islands” exist in the Spratlys from which China, or any other claimant state, can claim a two-hundred-nautical-mile EEZ. If shots are fired in the wake of the decision of the United Nations Permanent Court of Arbitration to categorically reject China’s expansive territorial claims in the South China Sea, Beijing will have only itself to blame. However, former secretary of state Hillary Clinton and President Barack Obama must also share responsibility. The Clinton-Obama culpability seems to have been totally lost in the current debate over this issue—virtually every pundit focuses on how to respond to China’s next aggressive move. However, this regrettable situation is a poster child of weakness inviting aggression—with all the unintended consequences such aggression can bring—so it is important to frame this crisis in its appropriate historical setting. This crisis began with China’s forcibly taking Scarborough Shoal from the Philippines in 2012. This shoal is a triangular-shaped chain of reefs, rocks, and small islands barely thirty-four miles in circumference and about 115 nautical miles off the Philippines’ Zambales Province on the western side of Luzon Island. It is well within the Philippines’ two-hundred-mile Exclusive Economic Zone, where an EEZ entitles a country to natural resources like fish and petroleum with it; and only one of its land features, South Rock, is above water at high tide. China’s taking of Scarborough Shoal began in April of 2012 with an incursion into the shoal by a flotilla of Chinese fishing vessels. Manila attempted to arrest the fishermen. A tense standoff involving paramilitary Chinese Coast Guard vessels ensued. On July 12, the Permanent Court of Arbitration in the Hague issued a decision that could greatly impact the ongoing tensions in the South China Sea. Ruling on a case brought by the Philippines in 2013, the decision of the five-judge panel represented an emphatic victory for Manila’s position and a near total repudiation of China’s claims. In its most significant finding, the tribunal flatly rejected China’s argument that it enjoys historic rights over most of the South China Sea. Such a claim, the panel ruled, had no legal basis. The ruling was a sweeping rebuke of Beijing’s conduct, especially its seizure of uninhabited reefs and its construction of artificial islands. Such actions, the tribunal concluded, violated China’s obligations under the United Nations Convention on the Law of the Sea. Philippine leaders were ecstatic about the decision. “It’s an overwhelming victory. We won on every significant point,” stated Paul Reichler, Manila’s chief counsel in the case. The overall decision was not that much of a surprise, but the categorical nature of some of the language was surprising even to seasoned regional observers. “It goes much farther than most people expected that this was going to go. It’s really devastating to China,” concluded Bonnie Glaser at the Center for Strategic and International Studies. China loses to Philippines in South China Sea: What lies ahead? Failing to prevent Chinese fishermen from fishing in the zone. The tribunal also held that fishermen from the Philippines (like those from China) had traditional fishing rights at Scarborough Shoal and that China had interfered with these rights in restricting access. The tribunal further held that Chinese law enforcement vessels had unlawfully created a serious risk of collision when they physically obstructed Philippine vessels”[ii]. Hague-based Permanent Court of Arbitration’s ruling comes as an answer to a complaint filed by the Philippines in 2013 which had accused Beijing of violating the Annex VII of the UN’s Convention on the Law of the Sea (UNCLOS) with its aggressive overture on the Scarborough Shoal, a reef located about 225 kilometres off the Philippine coast. Manila asserted that China’s maritime map of the South China Sea was of dubious pedigree. The Permanent Court of Arbitration said Beijing’s claim of virtual sovereignty over nearly all the South China Sea under a so-called “nine-dash line” that stretches from the southern China coast runs contrary to UNCLOS[iii]. It declared large areas of the sea to be neutral international waters. The Hague court also ruled that none of the Spratly Islands granted China an exclusive economic zone, and that its construction activities on Mischief Reef caused “irreparable harm” to the reef’s ecosystem[iv]. Russia and China staged a bold new series of military manoeuvres last month. Not a single ship left port, nor did any tank fire up its engine. Instead, a team from China’s People’s Liberation Army sat with their Russian counterparts in Moscow, running a five-day computer simulation of a joint response to a ballistic missile attack. Held in the Central Research Institute of Air and Space Defence in the Russian capital, the drill “was not directed against any third country”, according to Russia’s defence ministry. But few were under any illusion that the “aggressor” in the simulation was anyone other than the US. The exercise — which analysts note involved sharing information in an extremely sensitive sphere — was highly significant because it indicated “a new level of trust” between the two former adversaries, says Vasily Kashin, an expert on China’s military at the Higher School of Economics in Moscow. WASHINGTON: Leading legislators from both parties welcomed today’s UN tribunal ruling against Chinese claims in the South China Sea. But while Republicans focused on China’smisdeeds, Democrats consistently brought up an American omission: The United States has never ratified the very treaty empowering the tribunal to stand up China, the UN Convention on the Law of the Sea. UNCLOS has been in contention since the Reagan era. Republicans rejected it primarily for imposing UN bureaucracy, and potentially even taxation, over US activities such as seabed mining. President Clinton signed the implementation agreement in 1994, and the US military abides by it religiously, but the treaty itself has never been ratified by the Senate. Declaring the law is one thing, upholding it another thing altogether. After Tuesday’s landmark ruling from the Permanent Court of Arbitration regarding the South China Sea, the gulf between China and the region has widened. China has busily staked out a position that will be hard to climb down from, while the United States and its allies and partners are hoping to elevate diplomacy backed by defense to help enforce a rules-based order. Whether polarization crowds out integration will hinge largely on responses undertaken by China, the United States and Southeast Asian claimant states in the coming weeks and months. The South China Sea poses multiple challenges for China: domestically, as a sovereign interest; regionally, as an issue of relations with neighbors; and internationally, as a contest to displace American primacy. Geography, history, rapid military modernization, a centrally controlled narrative and enviable financial clout provide Beijing with several natural advantages. Yet rather than marshalling these attributes toward soft power and a peaceful way forward, China has instead managed to upset just about every actor in and out of the region. For a nation that arguably invented strategy, China’s foreign policy can appear remarkably obtuse. Even as it launches waves of terrorist attacks around the globe, the Islamic State is quietly preparing its followers for the eventual collapse of the caliphate it proclaimed with great fanfare two years ago. In public messages and in recent actions in Syria, the group’s leaders are acknowledging the terrorist organization’s declining fortunes on the battlefield while bracing for the possibility that its remaining strongholds could fall. At the same time, the group is vowing to press on with its recent campaign of violence, even if the terrorists themselves are driven underground. U.S. counterterrorism experts believe the mass-­casualty attacks in Istanbul and Baghdad in the past month were largely a response to military reversals in Iraq and Syria. Such terrorist acts are likely to continue and even intensify, at least initially, analysts say, as the group evolves from a quasi-state with territorial holdings to a shadowy and diffuse network with branches and cells on at least three continents. Indeed, while the loss of a physical sanctuary would constitute a major blow to the Islamic State — severely limiting, for example, its ability to raise money, train recruits or plan complex terrorist operations — the group’s highly decentralized nature ensures that it will remain dangerous for some time to come, according to current and former U.S. officials and terrorism experts. SWJ Note: The following article has been taken from a 65 page thesis on the same topic discussed below. Naturally a decent amount of material needed to be removed in order to allow for a reasonable sized article for publication. While a good portion of the research and background information has been removed, what remains is what, hopefully, will present the facts and data necessary to show the connection between the International Community’s actions and responses in the face of the Iran-Iraq War and the current state of the Middle East and the Persian Gulf. Since the audience of this journal most likely would already have a detailed understanding of the Iran-Iraq War as well as the current situation in the Middle East following the 2003 Invasion of Iraq, the focus of this article is more the intermediary time period from the late 1980s to the late 1990s. For years it has been said that the violence in the Middle East is based on historical religious and ethnic differences between the many groups that inhabit the region. This is true…to a point. Historical differences and perceived differences have led to conflict in regions across the globe for as long as history can remember. But is that the only reason? There are many other factors that can lead to violence and conflict in regions, even where it has been a historical norm. The Middle East is one of these regions. The Iran-Iraq War played a major role in the violence we see today and it is time to recognize just how much of an impact this conflict actually had in the 30 years since. Suppose America Gave a Proxy War in Syria and Nobody Came? The New Syrian Army (NSA) is America's latest partner in Syria, serving as a proxy force against Islamic State. The NSA suffered a staggering defeat at the end of June, raising troubling questions about U.S. strategy against Islamic State. The United States has struggled to navigate the politics of Syria's civil war and transform the country's local conflict into the anti-jihadist proxy war Washington would prefer to fight. U.S. attempts to recruit and back Syrian Arab forces to fight Islamic State have repeatedly stumbled due to factional and personal politics of Syria's rebels, as well as the basic disconnect between the U.S. priority of combating Islamic State and most rebels’ aim of toppling the regime of Bashar al-Assad. Last Wednesday, the New Syrian Army—America’s best, maybe only, hope to challenge the self-proclaimed Islamic State in its east Syrian stronghold—launched a daring attack on the heart of Islamic State territory. By Thursday, it had gone wrong. Islamic State had been waiting, and the New Syrian Army only barely avoided being annihilated by circling jihadists. On Twitter and in an interview with me, the group’s commander, Khaz’al al-Sarhan, railed against his American backers and speculated that his own group may have been infiltrated by Islamic State. For the United States, it was just the latest in a series of mostly unsuccessful attempts to field a Syrian Arab proxy force against Islamic State. Even after the conspicuous failure of other U.S.-trained units, the United States seems no closer to figuring out how to get Syria’s rebels to fight America’s war. SEOUL, South Korea (AP) — An advanced U.S. missile defense system will be deployed in a rural farming town in southeastern South Korea, Seoul officials announced Wednesday, angering not only North Korea and China but also local residents who fear potential health hazards that they believe the U.S. system might cause. As words of the location for the Terminal High-Altitude Area Defense, or THAAD, spread even before the government's formal announcement, thousands of residents in the town of Seongju, the site for the U.S. system, rallied and demanded the government cancel its decision. A group of local leaders wrote letters of complaint in blood and gave them to the Defense Ministry. "We oppose with our lives the THAAD deployment," one of the letters said, according to Seongju local council speaker Bae Jae Man, one of the 10 people who wrote the letter. Seoul and Washington officials say they need the missile system to better deal with what they call increasing North Korean military threats. On Monday, North Korea warned it will take unspecified "physical" measures once the location for THAAD is announced. Seoul's Deputy Defense Minister Ryu Je Seung told a news conference that Seongju was picked because it can maximize the THAAD's military effectiveness while satisfying environmental, health and safety standards. He said the defense chiefs of the countries approved the decision. Russia's Next Military Game Changer: Microwave Weapons? Russia will arm its sixth-generation combat drones with microwave weapons. These weapons, which disable an aircraft’s electronic equipment, already exist today “and can hit targets within a radius of tens of kilometers,” said Vladimir Mikheev, a director of state-owned Russian electronics firm KRET, in aninterview with TASS. Echoing the same debates in the United States over manned versus unmanned combat aircraft, Mikheev said that only the unmanned version of Russia's sixth-generation aircraft will have “full technical capabilities.” He predicted these drones will be hypersonic, with a speed of Mach 4 to 5, and will be capable of flight through near space (sixty-five thousand to 328,000 feet). The political earthquake of the Brexit referendum has already changed international relations in many ways. While the majority of experts in the United States dwelled on the parallels between the anger of British and American voters and the possible negative consequences for the global economy, only a few considered the referendum’s implications for American foreign policy, naming, as an example, a possible end to the American “pivot” towards Asia. At the same time, several events showed that Russia, proclaimedby the same experts as one of the biggest winners of the Brexit vote, does not have to rush to any pivots: the Eurasian vector of Russia’s foreign policy is already present, and becoming more significant with every year. Yet, one thing should be made clear from the very beginning: this Eurasian policy has little to do with the very amorphous ideology of Eurasianism, whose influence is constantly overestimated by Western experts. Having had a not-so-positive experience with foreign policy influenced by ideology (initially by communism during the Cold War and, later, by liberalism during the last decade of the twentieth century), Russia’s foreign policy is rather pragmatic. It treats Eurasia as the macroregion where Russia is located and, for centuries, a natural priority area for Russia’s international relations. It so happened that, exactly after the Brexit referendum, several events provided more grounds to analyze Russia’s diplomatic efforts in this space. Some of them, like Putin’s visit to Uzbekistan for the anniversary meeting of the Shanghai Cooperation Organization’s Heads of State Council and visit to China, were planned, while others—such as Turkey’s apology for shooting down the Russian plane in November 2015—definitely were not. However, all of them gave reasons to argue that Russia’s diplomacy delivers results in establishing Moscow as a powerful player with a truly Eurasian outreach. Earlier this year, Saudi Arabia announced an ambitious plan to reform its defense industry as part of its overall vision to wean itself off oil revenue dependency, with a goal of producing 50 percent of its military equipment domestically by 2030. The plan calls for the development of an advanced manufacturing apparatus that would replace the need to purchase state-of-the-art military hardware from outside and provide Saudi citizens with more jobs. While this plan demonstrates that the new Saudi prince understands the problems of relying too heavily on foreign military providers, it is an unrealistic plan that fails to acknowledge what causes this reliance in the first place. In short, the kingdom’s complete dependence on volatile oil revenue to jumpstart its domestic defense sector will ultimately lead to this plan’s demise so long as this dependence still exists. Saudi’s defense reform cannot succeed in parallel to its economic reforms, only as a result of it. So long as its budget is still reliant on oil, any attempts at reform will be abandoned once global oil prices change dramatically, either up or down, as happened for numerous other oil exporting states in similar cases. Today, only two percent of Saudi Arabia’s military spending goes to domestic suppliers, making the kingdom almost wholly reliant on foreign hardware. In addition to contributing to increased levels of military spending, this reliance serves to impede Saudi Arabia’s capabilities on the battlefield. Studies have shown that militaries lacking capable local manufacturing industries experience difficulties in adopting foreign weaponry to local conditions, are less able to maintain their equipment during battle, are less able to introduce innovation to their ranks, and are more vulnerable to weapon embargos. Will Brexit bring down NATO? Reports of NATO’s demise are greatly exaggerated. In all the Brexit backlash, with suppositions of celebration in the Kremlin, it seems that many have conflated the European Union’s fate with the world’s largest military alliance, perhaps forgetting that the horse came before the cart. Before the referendum, the US was actively encouraging this view, delivering dire warnings about a weakened NATO facing Russia in a post-Brexit world. But these were campaign words. No doubt the UK’s decision to leave was a severe body blow to the EU and to the European project generally – which in the long-term will have consequences for NATO. But in terms of raw military power, the Alliance’s strength relative to Russia remains unchanged. In the medium-term, its position may grow even stronger as UK assets earmarked for EU security projects are redirected to NATO. In a practical sense, the UK’s departure from the bloc is probably the least helpful to Russia. Of all the EU member states, Washington’s stalwart ally is the most unlikely to look eastward. An exit by Hungary, or even Austria, would come with a much greater risk of those nations turning away from Brussels and Berlin, and towards Moscow. Despite the Little England, isolationism talk, Pew polling last year found that the UK was, in fact, the most likely of the Big Four (UK, France, Germany, Italy) to support using military force to defend a NATO ally in the event of a Russian attack. This was in stark comparison to other three, where more than half the populations were against such support. In 2007’s Live Free or Die Hard, Timothy Olyphant’s evil cyber-terrorist Thomas Gabriel initiates a paralyzing attack on the nation’s technological infrastructure-seizing control of its transportation, communication, military, and power systems-which Justin Long’s nerdy hacker dubs a “fire sale” due to the fact that in such an assault, “everything must go.” As befitting an entry in the popular action franchise, this catastrophe concludes with Bruce Willis’s cop John McClane saving the day through acts of superhuman physical heroism. Replete with Gabriel using his high-tech gadgetry as a way to soothe his damaged ego and steal lots of money, it’s a familiar Hollywood saga, albeit with a modern digital twist. Except that, accordingto Alex Gibney’s new documentary, Live Free or Die Hard is anything but outlandish fantasy. In Zero Days, Gibney provides a comprehensive overview of the Stuxnet worm-a sophisticated piece of malware that, on June 17, 2010, was found by a Belarus security expert on one of his client’s machines in Iran. Though it was immediately apparent that the virus was deadly, it would take considerably more analysis-including by Symantec security response professionals Eric Chien and Liam O’Murchu-before its true potential was revealed. Those revelations were at once awe-inspiring and unsettling, as Stuxnet turned out to be a complex program designed to infiltrate, target, and sabotage the centrifuges at Iran’s Natanz nuclear facility. It was equipped to do this even though Natanz’s systems were disconnected from the internet. And it was to perform its mission without “command and control” input-meaning that its groundbreaking code would initiate and carry out its tasks wholly on its own (or as Chien says, “There was no turning back once Stuxnet was released”).